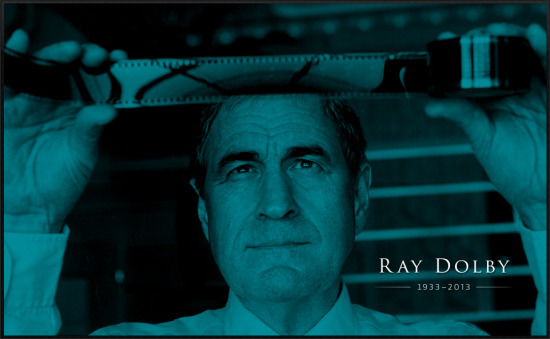 It is with sadness that we announce the passing of another industry pioneer, Ray Dolby who has died at 80. Dolby was known for many inventions around the world including surround and of course being the inventor of the video tape recorder whilst at Ampex, but for many recording professionals and before the days of digital recording it was Ray Dolby who helped clean up our sound recordings, with his Dolby NR noise reduction. The arrival of Dolby NR is the mid 1960s helped to remove tape hiss and gave engineers working with analogue recording equipment much better results. However Dolby NR was just a tiny part of the output from this industry giant, a man whose inventions have transformed how we make and consume our creative entertainment. He will be missed, but he leaves the legacy of having transformed countless recordings not by adding but by taking something away.